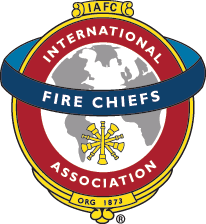 FSTAR is managed by the International Association of Fire Chiefs (IAFC). The IAFC represents the leadership of firefighters and emergency responders worldwide; our members are the world's leading experts in firefighting, emergency medical services, terrorism response, hazardous materials spills, natural disasters, search and rescue, and public safety policy. Since 1873, the IAFC has provided a forum for fire and emergency service leaders to exchange ideas, develop professionally and uncover the latest products and services available to first responders. The IAFC provides leadership to current and future career, volunteer, fire-rescue and EMS chiefs, chief fire officers, company officers and managers of emergency service organizations throughout the international community through vision, information, education, services and representation to enhance their professionalism and capabilities.